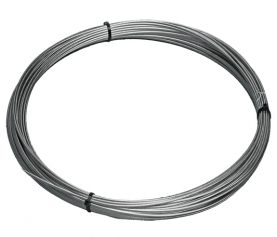 Stainless Cable Railing Blog – Why Use Aluminum for Deck Railing? Residential and commercial designs can vary greatly – people have all sorts of different style and design preferences. Whether it’s modern, traditional, or a bit of everything tied together into one design, your home or office space is an expression of who your are. Your outside space is part of that expression and it is an important part of transforming your property into what you want it to be. 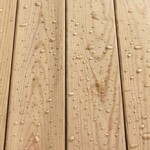 If you are building or remodeling a deck, aluminum railing is a great option to consider. What are the benefits of aluminum railing? Highly resistant: If you’re looking for durability, aluminum is a great option. Aluminum is highly resistant to corrosion and it’s one of the most weather-resistant materials on the market. So, no matter if you live in the hot and sunny desert, a rainy state, or in the snowy mountains, aluminum can withstand all types of weather. Also, if you live in an area with extreme temperature fluctuations, aluminum railing is able to withstand those fluctuations without shrinking or expanding. Style: Aluminum railing comes in many varieties, including various colors, designs, and patterns. Aluminum railing has great aesthetic qualities and can easily blend into any surrounding. It will easily give you the chance to improve the look of your space. 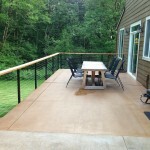 Cost effective: Aluminum deck railing is very affordable! 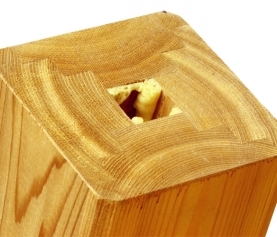 It’s more expensive than wood, but less costly than steel or wrought iron and requires no time-consuming maintenance. For people who are looking for a simple railing solution with no expensive upkeep or hassle, aluminum is a great option. A boost in home value: A quality aluminum railing system can last for a long time. This type of long-term investment is in the best interest for property owners who are looking to boost the value of their property. In a market where new homebuyers are looking for move-in ready homes with little to no projects to complete, having a solid railing system in place is a great feature to have. Aluminum has become a very popular railing alternative for property owners. 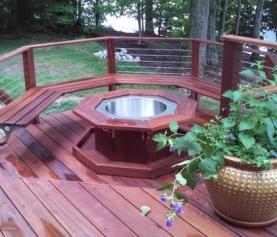 If you’re not sure that aluminum is the right choice for you, check out some of the pictures in our gallery from projects that used Stainless Cable & Railing products.